Your entrance fee as well as 100 paintballs (more paintballs can be bought on the day). All your kit: Overalls, Body Armour, Padded Hood, Full Face Mask and your Paintball Gun. Top of the range facilities include Showers and Changing Room. Marshals who run the games look after you and your equipment. Full Day of games (9 to 10 games) from 9am to 4pm with different game zones and scenario’s. Half Day of games (5 to 6 games) from either 9am to 1pm or 12pm to 4pm with different game zones and scenario’s. Additional Paintballs can be purchased (if required) on the day. 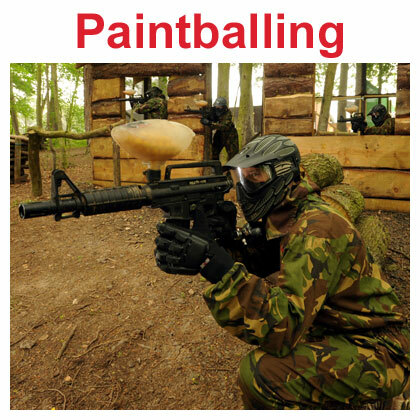 For more information about Paintballing at Wild Park Derbyshire then take a look at our Paintballing page.